AAP's economic thinking is influenced by both left-wing and centre-right ideology, among other schools of thought. On any given day the Aam Aadmi Party (AAP) office, a nondescript two-storey building close to New Delhi's Rajiv Chowk, is a beehive of activity with people queuing up to volunteer support or seek an election ticket. Unpaid volunteers work day and night to manage the party's growing support base. The party had some 1.4 million registered supporters, as on December 31. Thirty-something Sujata Rai is one such volunteer. She has been associated with the party for over a year and spends nearly 12 hours a day collecting donations at the party office. Her husband, a businessman, too, volunteers for the party. "We love the transparency in the party," she says. She has not yet had an opportunity to meet party leader and Delhi Chief Minister Arvind Kejriwal. But she isn't complaining. Or consider 24-year-old Digant Kapoor, a postgraduate in International Relations from Cambridge. Kapoor has moved to India from the UAE for a year to work for AAP. Again unpaid, he is often spotted sitting in a corner on a white plastic chair crunching census and Election Commission data, thereby contributing to the party's Lok Sabha election campaign. "I feel this is the cleanest political platform in India today," he says. Behind Kapoor is a wall-size placard of Kejriwal espousing the virtues of Swaraj (self rule) and citizen empowerment. It is this concept of Swaraj which will form the basis of the party's national manifesto for the Lok Sabha elections, according to Kejriwal. But as the support base of the party swells, it recognises the imperative of spelling out its stand on key economic challenges before the country. This would not only send out the right signals to its cadres but also answer its critics who claim that the party is still not ready to emerge as a serious national alternative. Consequently, 31 committees have been constituted by AAP leaders to draft recommendations in areas such as economy and ecology, agriculture, land acquisition, energy, transport and sustainable urbanisation. The party so far seems to be an umbrella organisation accommodating a motley group of people representing different ideologies. 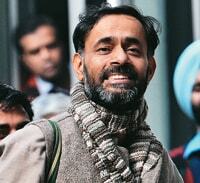 "We all have diverse ideological perspectives and backgrounds," says party leader Yogendra Yadav. "AAP has people whom you would call traditional leftists, others who believe in a free market, some who are deeply critical of the left. Unlike traditional political parties, we are not based on the idea of one ideology. We are here to solve problems." Yadav is part of the three-member core strategy team of AAP. He has been known for his socialist leanings in a long career as an academic and a psephologist. A former close aide and colleague identifies him as a "man of high principles" who opposes the politics and economics of both the CPI(M) and the BJP. He is also someone who looks at money making with "suspicion", he adds. Kejriwal's individual views on economics are considered relatively more rightwing, while Prashant Bhushan, a leading lawyer and co-founder of the party, has been termed as "left of left" by some. But AAP's policy decisions after assuming power in Delhi have raised worries that it might just try to take India back to the days of state control and socialist policies. It has already announced a 50 per cent subsidy in power tariffs and free water in Delhi up to a certain level of usage - promises made in its manifesto. Can the state exchequer, already burdened by subsidies, afford a higher dole out? Opinions vary. Vinayak Chatterjee, Chairman and Managing Director of Feedback Infra, makes a case for targeted subsidies. "In emerging societies, there is enough evidence that targeted subsidies go hand in hand with cleaning up certain sectors," he says. The power policy is a continuation of the previous Congress government's approach, which spent over Rs500 crore on power subsidies annually. "Delhi doesn't need subsidies, it is a rich state. If you are doling out subsidies, you are no different from other parties. 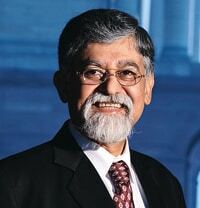 People want good service and not subsidies," says Arvind Virmani, former Chief Economic Adviser to the Centre. It is highly unlikely that the party will oppose Congress's subsidy policies. Arun Kumar, professor at Jawaharlal Nehru University, New Delhi, and the head of AAP's committee on economy and ecology, told Business Today: "At the moment all subsidy schemes are necessary because of poverty and lack of employment in the country. But if we are able to generate employment then these schemes are redundant." Meanwhile, the recommendations of several committees formed by AAP have been submitted to the party leadership. These proposals, likely to form the cornerstone of AAP's economic policy, suggest generating employment and tackling poverty with higher investments in core sectors like infrastructure, education, health, and agriculture through the public sector and support for small-scale industry. "Wherever possible we will try and raise investment in the public sector to crowd in the private sector. As services improve in rural areas, private sector will be encouraged to invest," adds Kumar. The heart of AAP's economic policy will lie in vesting crucial decision making in to the hands of the common man. From tax collection to decisions on mining licences and land acquisition, there will be greater participation of the people. Kejriwal, in his book Swaraj, lays special emphasis on empowering gram sabhas across the country. "The gram sabha should be made the owner of all small water resources, small minerals, and small forest products in the area that fall under its purview. It should also be ensured that without the permission of any affected village, no rights over land, forest or mines be given away," he says in the book. Effectively, he pitches for transfer of ownership of natural resources to gram sabhas, and no decision or licence to be granted without the approval of those directly affected by the decision. "We adopted a top-down approach from western economies after 1947, which has been disastrous for the economy," says Kumar. On the taxation front, the committee recommendations include increasing direct taxes and lowering indirect taxes, expanding the tax net, higher taxes on services to increase government revenues to pay for enhanced government expenditure. Fighting inflation will be a priority by making manufacturing competitive through lowering of excise duty, service and value-added tax, fuelling a low-interest rate cycle. The party is likely to oppose FDI (foreign direct investment) in retail as it could lead to unemployment and displacement. On skill development, the focus is likely to remain on strengthening primary, secondary and higher education systems and not so much on vocational training. India currently has a plethora of schemes relating to health-care, education and rural connectivity such as the National Rural Health Mission, Sarv Shiksha Abhiyaan, and Pradhan Mantri Gram Sadak Yojana, etc. The focus of all these schemes is to achieve the very 'inclusive growth' the AAP harps upon. It will persist with these schemes. "We will implement them," says Kumar. But not everyone is convinced about the economic model being proposed by AAP. "Aam Aadmi Party is like the Congress's National Advisory Council (NAC). It is an agglomeration of NGOs. It will have the same problems as those of the NAC. It will be narrowly focused. The problem is that the leadership has too many single-issue people," says Virmani. The party appears to have an obvious socialist bias, but with a number of corporate India luminaries joining the party recently, there could be a semblance of balanced thinking gradually over a period of time. "People like us have joined the party and we will help bring about a blend of growth with populism," says V. Balakrishnan, former director of Infosys. Adds G.R. Gopinath, serial entrepreneur and founder of Air Deccan, India's first low-cost airline, who has also joined AAP: "The most compelling fact about AAP is that it is against corruption and will be transparent in decision making. If you fix corruption, then you fix most things." The Kejriwal government's power tariff cut runs counter to India's efforts to rationalise energy prices. 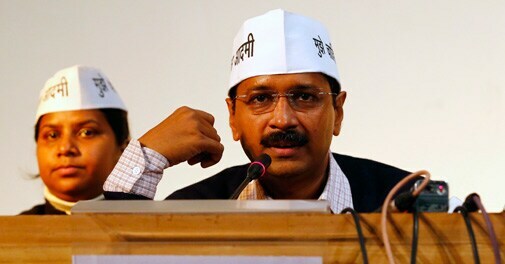 Delhi Chief Minister Arvind Kejriwal's decision to offer a subsidy to reduce power tariffs has raised concern. The 50 per cent subsidy on the first 400 units of electricity consumed will cost the Delhi government Rs200 crore in the January-to-March period. This will be in addition to Rs550 crore subsidy the previous government announced in June last year. Kejriwal is hoping an audit he ordered of power distribution companies (discoms) will catch "gold plating" and he may not have to pay the subsidy. Gold plating refers to companies inflating costs to raise tariffs. However, Arvinder Singh Lovely, the Congress's Delhi unit president, warns that the subsidy could rise to Rs1,350 crore next fiscal, if the audit doesn't reveal any wrongdoing. Kejriwal's move is forcing other states to announce similar steps. On January 6, the two discoms in Haryana, where assembly polls are due this year, decided to keep tariffs unchanged for the next fiscal year. In Maharashtra, Congress MPs Priya Dutt and Sanjay Nirupam have sought electricity subsidies for the state. Assembly polls in Maharashtra are likely to be held along with general elections due by May. Similar demands have been raised in Andhra Pradesh and Punjab. This comes at a time when many discoms are in precarious health. In September 2012, the finance ministry announced a bailout package for some discoms. Banks also are wary of lending to the sector. Not surprisingly, power sector experts have criticised the move. 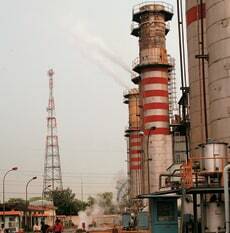 Ashok Khurana, Secretary General of the Association of Power Producers, an industry group, says the problem with subsidies is that state governments do not make provisions for them in their respective budgets and do not fix a mechanism to pay subsidies. "This disturbs the cash flow of distribution companies. After all, they have to buy electricity, and trading happens in cash. They have to take on debt and in the current market scenario the cost of money is very high," he says. Aashish Mehra, Managing Partner of the Asia-Pacific chapter of US-based consultancy Strategic Decisions Group, agrees. "If this becomes a trend, we surely will not be heading towards resolving our energy crisis," he says. "There has to be a fair value for electricity consumed."